Thanksgiving is over and right around the corner is Christmas. I started to decorate for Christmas and I like to bring the outdoors in. When we were in Vermont this summer, I found an old door screen that I bought. I also brought home some birch logs from my son's farm. I hung the old screen in my lanai and cut the log into thin slices for making a Christmas sign. Sorry I am late with the party, computer issues. Hope you had a wonderful Thanksgiving with family and friends. It's Home week here at You're The Star. We had so many awesome posts last month. Check out the features below and see if your post was picked. Hope you had a fabulous Thanksgiving! Now it's time for Over The Moon Linky Party. Don't forget that we pin every post so link up your posts and share some lovin. Welcome to the Over the Moon Link Party! You can link up any family friendly posts without profanity. Have a post you want to give more reach? Need some comments or shares? Want a post that's close to going viral takeoff like a rocket? Now is the time to link it up! At least one of the hosts will be pinning your link to the Over the Moon Pinterest Board and may be tweeted, shared on Facebook, Google+, and other social media sites. We'll have Featured Bloggers, chosen by the hosts, and the Most Viewed Link. Please be sure that you grab your Feature or Most Viewed button to flaunt your award. The party will open weekly on Sunday evening in the USA and Monday morning in Australia and close on Thursday. Niches of all kinds are eligible - stories, printables, for sale items, DIY, crafts, decorating, fashion, makeup, health & fitness, recipes, mommy moments, etsy items, nails, wraps, anything at all, just as long as it's family friendly and without profanity. All links will be added to the Over the Moon Link Party Board on Pinterest. All posts are commented on and may be tweeted, shared on Facebook and other social media. Please be kind and use our party button and follow someone new. 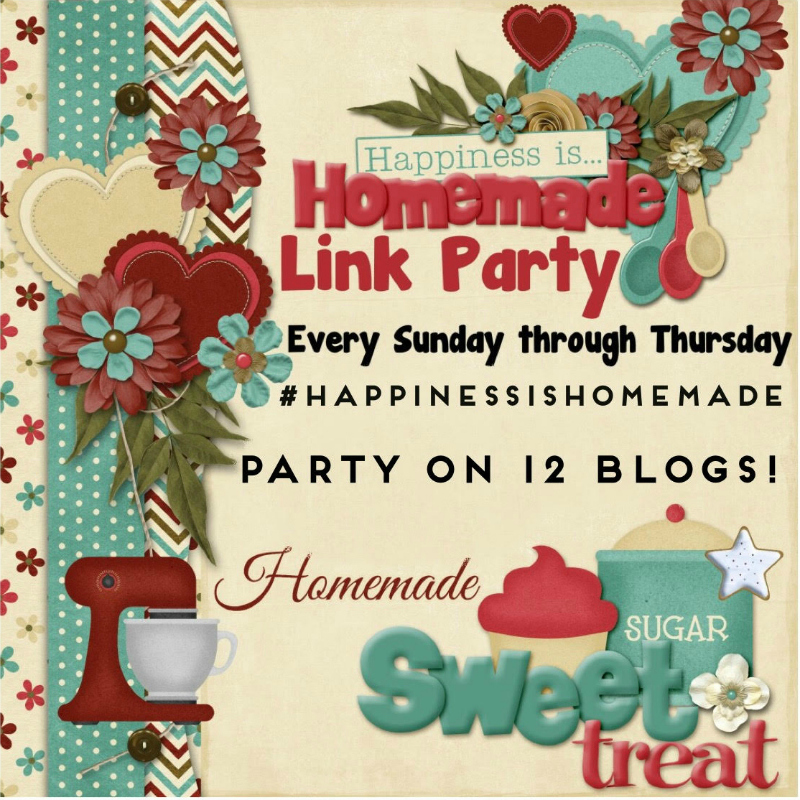 Welcome to Happiness is Homemade Link Party!!! Joins us bloggers and link up your latest and greatest! Readers, check out all of the amazing ideas and inspirational posts some of the best bloggers out there have to share with you! We have a working fireplace, but must admit that in thirteen years we have never had a fire. We just don't get that cold here in southern Florida. I purchased this Antique Cast Iron Fireplace Grate Log Holder Coal Box Mantle Insert with Fleur-De-Lis Pattern a number of years ago. My sister and I went to a barn sale and in the corner was this grate. Needless to say, I fell in love with it. When I asked the price, I almost fell over - $5. Welcome to a new week at Turn It Up Tuesday! Thank you so much for stopping by last week and sharing all of your posts - we had so much fun checking them all out! This week is Thanksgiving, and we're so grateful and thankful to share it with all of you! Share your holiday recipes, decorations, DIY projects, exercise tips, and anything that you'd like to share from present and past! We can't wait to check out all your posts! We'd like to thank you in advance for partying with us and sharing all of your amazing posts with us - we LOVE checking them all out! If you've been here before, thank you for coming back! And if you're new here...welcome! Feel free to share, share, share! We love having you! ...and welcome our guest hosts for November! Mari chose Smoked Ham Apple Gouda Panini from The Bitter Side of Sweet. "My weeks picks are...Nancy's panini it just such a great combo looks delish for those days you don't want to do too much in the kitchen." Mari chose Spaghetti Grilled Cheese from The Kittchen. "I would never have thought of this combo but Kit's grilled cheese is a must try!!!" Bev chose Orange Cranberry Margarita Cocktail Recipe from Growing Up Gabel. "What a wonderful way to celebrate the holidays, with a delicious drink served with cranberries. How refreshing is that." This post also had the most views last week. Bev chose Grape Crostini Appetizer Recipe with Blue Cheese Spread and Honey from Home Cooking Memories. "You had me at blue cheese. I love it and then the mascarpone cheese cinched the deal. I can’t wait to make these." Stacey chose Over 50 Hamburger Meat Recipes from 3 Boys and a Dog. "Hamburger is a staple to most of the recipes that I make for my family and I am always searching for just the right ones for my picky eaters. I am looking forward to trying a few of these out and spice things up a bit. Thanks for sharing!" Stacey chose 25 Christmas Gifts Kids Can Make from Your Vibrant Family. 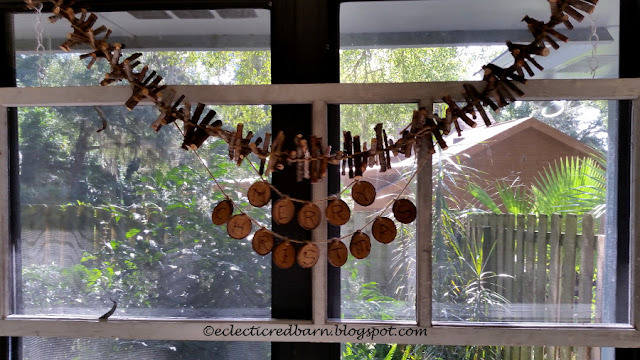 "Some of the best gifts that I have gotten, have been home made and I love these ideas. Gifts from the heart are absolutely priceless. Thank you so much for sharing!" Silvie chose Slow Cooker Pork Loin with Vegetables from The Jenny Evolution. "I have never thought of making pork loin in the slow cooker. This sounds like such a great recipe, I can't wait to try it." Silvie chose Pumpkin Spice Palmiers from The Bitter Side of Sweet. "I have always wanted to make Palmiers, and can't wait to try out this recipe. Thanks so much for sharing it Nancy." Melissa chose Caramelized Banana Bread from Morsels of Life. "This sounds so delicious and I like finding recipes that use smaller amounts of butter and sugar without sacrificing taste." Melissa chose How We Create a Christmas Focused on Christ from Year Round Homeschooling. "Since this is my son's second Christmas, I've been trying to find more ways to make sure that our focus is more on Jesus during the holidays than on presents." Heather chose Roasted Brussels Sprouts and Butternut Squash from My Suburban Kitchen. "I love roasted Brussels sprouts, and this combination with butternut squash sounds perfect for a Thanksgiving side. Since I'm looking for new sides to try this year, this one will be on the list." Heather chose Holiday Pomegranate Quinoa Pilaf from My Life Cookbook. "I'm really the only one in my family who usually eats quinoa, but that's OK, since Denise said she ate all of it herself, maybe I'll do the same. Thanks for sharing!" Natasha chose 25 Desserts Perfect for Thanksgiving from Crystal & Co. "I just love Thanksgiving desserts, and this is a great list! Thanks so much for sharing with us!" Natasha chose 19 Thanksgiving Leftovers Recipes from Lolly Jane. "And next to desserts, I love Thanksgiving leftovers! Thanks for sharing - I look forward to trying these recipes!" We love our pets - and then they are gone!